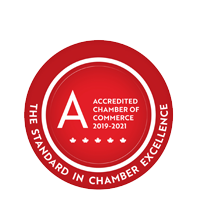 Chamber Trip 2019: Morocco - Business Directory - St. Thomas & District Chamber of Commerce - ON, ON ? The St. Thomas & District Chamber of Commerce is proud to announce that our annual Chamber Trip destination this year will be Morocco. Our departure date is Friday October 4. Annually since 2011, the Chamber has been able to offer group travel options and some very impressive prices. Previous destinations have included China, India and Ireland. We work in co-operation with our Chamber colleagues across the country and throughout the USA, along with a select group of tour brokers, to bring travel opportunities to our community that have value for business and pleasure. For 2019 we have crafted a custom 9-day itinerary to Morocco. We depart Toronto on Friday October 4 and return on Thanksgiving weekend on Saturday October 12 – a bonus that gives most folks a 2-day window to readjust. Our group will see ancient Roman cities, experience the bustling and bright markets of Marrakech, and explore mosques, tombs, fortresses and royal palaces. Morocco is truly a vibrant and historic destination and we will see it all in a package we call The Treasures or Morocco with stops in Casablanca, Rabat, Fez and Marrakech. One price includes return international airfare, highway coach bus travel to/from St. Thomas and Toronto’s Pearson International Airport, lodging in 4-star+ hotels including the Novotel Casablanca and the Barcelo Medina Fez, 7 breakfasts, 6 dinners and one lunch (including tips), entrance fees to all attractions in our itinerary, professional multi-lingual tour guides, air conditioned vehicles, luggage handling, and all taxes. Our Member price this year is $2775. That price is for anyone from any business or organization that is a current Member of the St. Thomas & District Chamber, and extends to immediate family members, retirees and travel companions sharing the same accommodation. Our non-Member/Public price for the tour $2975 per person. Single supplement in either level is $699. For any and all trip information, contact Ineke Palmer at Elgin Travel & Cruises. As our exclusive agent for this tour, Elgin Travel will handle all booking and payment details. Visit their office in Elgin Centre (formerly Elgin Mall) at 417 Wellington Street or call 519-633-6300.